Spring boot is hands down a great framework, saving the developer a lot of time and energy when developing a spring application. One of its great features is database initialization. 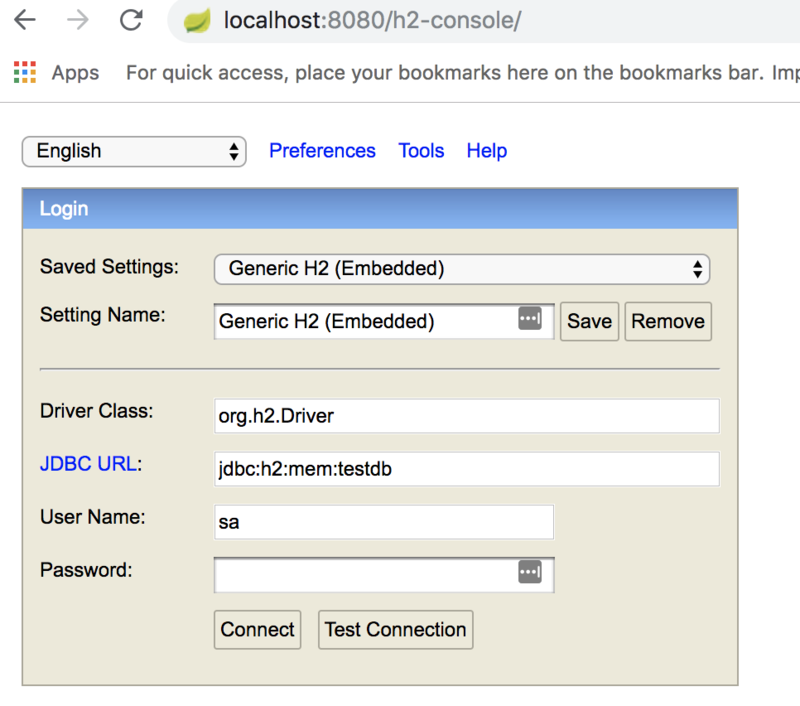 You can use spring boot in order to initialize your sql database. Pay special attention to the org.springframework:spring-jdbc dependency. Actually this is the dependency that assists with the database initialization. H2 database is more than enough for this example. * Created by gkatzioura on 29/4/2016. We will add a schema.sql file to the resource folder so it would be loaded to classpath. The schema.sql file would contain all the table definitions needed for our database. Next file to add is data.sql on the resources folder. This file will contain the sql statements needed to populate our database. On initialization spring boot will search for the data.sql and schema.sql files and execute them with the Database initializer. So far so good, however when you have two datasources defined, things get complicated. The problem is that the datasource initializer gets injected with a datasource. So we have to specify the datasource inject or else we will get an exception. A workaround is to specify which datasource bean is the primary one. By doing so the initializer will run the schema.sql and data.sql scripts using the mainDataSource bean. Another great feature of spring boot database is initialization is that it can be integrated with flyway. Get more information on flyway here. This is a basic set of database actions when using jdbc. Fetching more the one results. And last but not least transactions!!! All in all using jdbc has a lot of boilerplate and also you have to be carefull. While many other frameworks like spring provide tools such as a transaction manager or jdbc template, when using jdbc you have to do everything on your own. You are responsible for everything, for example releasing the connections back to the pool or setting the connection back to autocommit mode.